They’ve strived through four years of grueling homework, soul searching, and figuring out what they want out of life. Now that they’ve survived to the diploma, doesn’t your graduate deserve a day of celebration and relaxation? 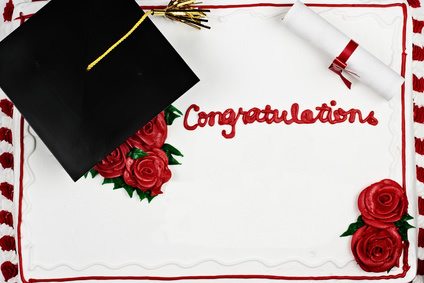 Celebrate this day the best way with a catered graduation party. Start by contacting a Detroit catering company to prepare the most extravagant meal for your graduate. Here are some additional tips you should consider as you plan your catered graduation party. Sure, it’s fun to go all out for your graduate to let them know they deserve the best, but keep your budget in mind as well. There are plenty of expenses to consider, such as location, what decorations and themes you want to set up, and what kind of food you want at the party. Caterers aren’t only good at serving delicious food; they also offer extra seating, decorations, and even tents. Your caterer may already be able to handle any other service you need for the occasion. Just ask and you may be able to save money, time, and energy. Once you set up what you want to do for your graduate’s party, you need to decide when it’s going to happen. Do you plan to do it right after graduation or do you want to make it a surprise? If you go for a surprise party and plan to invite lots of friends and family, it will take much more careful planning. Your plan should have your guests, provisions, and caterers in position and ready to go when the guest of honor arrives. To make sure everything goes smoothly, make sure everyone is on the same page for the date and time. This is essential for a surprise to happen. Even if it’s not a surprise party, being prepared will still allow the day to flow well. Having a catered party adds an ambiance that the guests will appreciate. In addition to planning games and activities for everyone, your graduate may enjoy having a buffet rather than being served a dish. Dong so will allow them to mingle with guests and catch up with friends. But if you think your graduate would enjoy something a bit fancier–like being served by a waiting service which your caterer can provide–you should go for that option. As stated before, there’s a variety of options you can look over to give the party the right atmosphere. Talk to your caterer about your ideas and they will make it a reality while keeping it within your budget. Preparing a graduation party should start happening around spring time. With March around the corner, contact Detroit Catering Company, David Graham Events to start planning the party.